What will be done about Philadelphia becoming a "sanctuary city"? Why do you think $3.3 million avian flu research money is insufficient? What about high property taxes and taking away teacher's pensions? 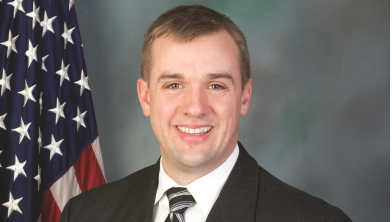 Pennsylvania State Representative Bryan Cutler held this live telephone town hall with his constituents to discuss the latest legislative news. He opened the call by giving listeners a breakdown of the current status of the 2015-16 budget. He then provided answers and details for questions from listeners ranging from avian flu, property tax reform, sanctuary cities, liquor store privatization and medical marijuana. Rep. Cutler thanked the listeners for their time and questions. Produced by PA House Republican Caucus.